Online Application Details for Eastern Coalfields Limited ECL Recruitment of 14 Accounts Clerk is given below. Candidate's minimum education qualification for the Vacancies in Eastern Coalfields Limited ECL should be B.Com. 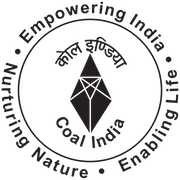 Application form and duly attested documents are to be sent to Chief Manager(P/Recruitment), Eastern Coalfields Limited, Subhash More,Sanctoria, Post Office-Dishergarh, Dist. Burdwan, West Bengal-713333. In envelope super scribed with 'Application for the Post of Post Name'.